Built around the 1750s, the Circus is another example of perfect Georgian architecture. The town houses here are very large and very beautiful. Sadly none are open to the public, but the exteriors are certainly worth seeing. They all sit nestled around a large circle of grass which has been planted with trees. In this way, although the houses are all facing each other, when you look out of your window, you don’t look directly into someone else’s across the circle. When these houses come up for sale, they can command huge price tags. In fact, the Hollywood actor Nicholas Cage bought one of the houses on the Circus a few years ago. 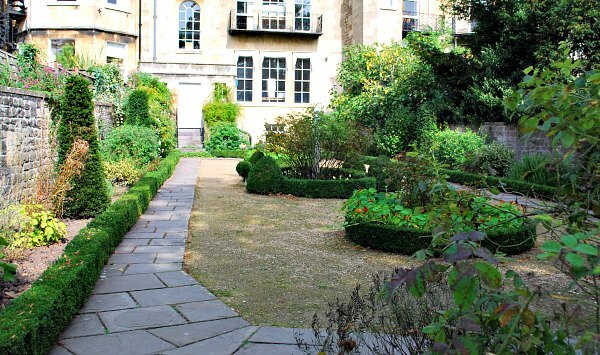 Whilst none of the houses are open to visitors, there is a quaint Georgian Garden that has been restored and is free to visit at the rear of No4. 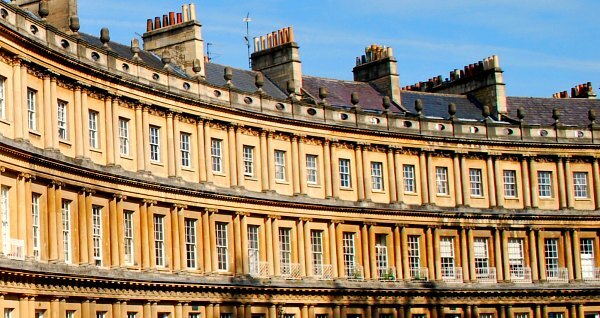 This is an extract from our free Bath City Guide. 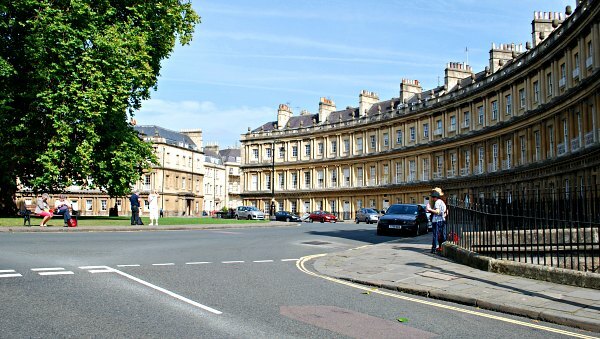 The Circus was originally called King’s Circus and was designed by the architect John Wood the Elder. His inspiration was the Colosseum in Rome and although he never lived to see his plans put into effect, his son John Wood the Younger, completed the scheme to his father’s design. The initial leases were granted in 1755 with further leases available up to 1766. Other projects by the same architect include nearby Queen Square, but the Circus is seen as his masterpiece. 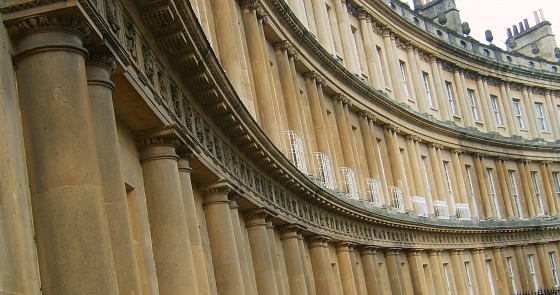 This father and son team are responsible for the redevelopment of Bath as you see it today. Originally the central area was paved, although it is now grassed over with a number of trees surviving from earlier years. Most of the houses in the Circus are split into flats, but when whole houses do come up for sale they are very expensive. In March 2009, No 7 The Circus sold for £3.5 million. The Georgian Garden at the rear of No4 The Circus is accessed from the historic Gravel Walk at the rear of the southern properties. It’s been laid out exactly as it would have been in the 1760s from a plan of the garden at the time. Excavations also took place to recover some of the original features. You’ll notice that the garden allows lots of space for walking around it which was the pastime in that era. Sadly, no record was kept of the plants in the garden, but the planting you see is typical of town gardens of the same period. The Georgian Garden is open daily from 9am to 7pm and is admission is free. If you struggle with hills, or just don’t want to walk to the Circus, we’d recommend the Bath Hop-on, Hop-off Bus Tour which stops nearby. It also takes you to all of the other significant locations in the city with an informative commentary along the way. The Circus is a public street up a small hill (Gay Street) from the city centre. Please be considerate towards the people who live there when visiting.